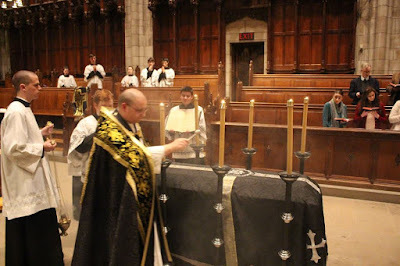 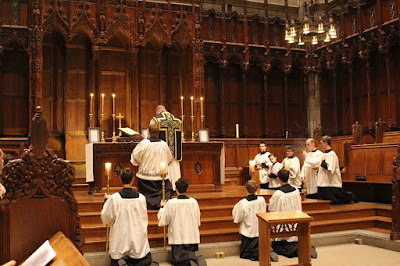 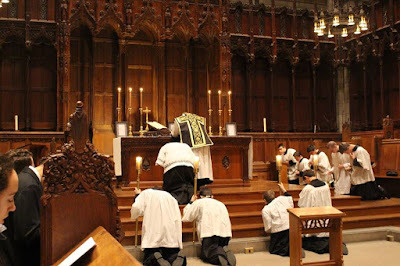 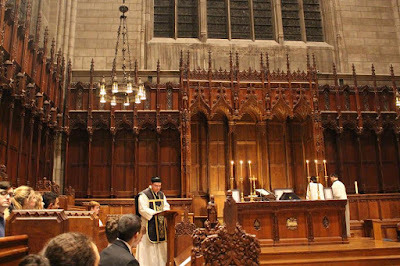 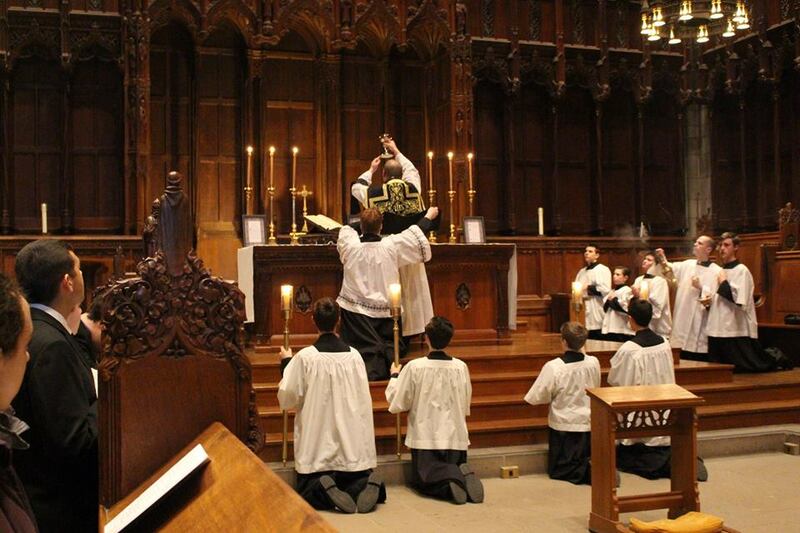 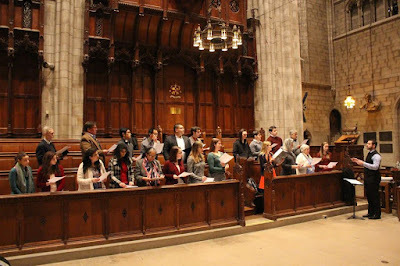 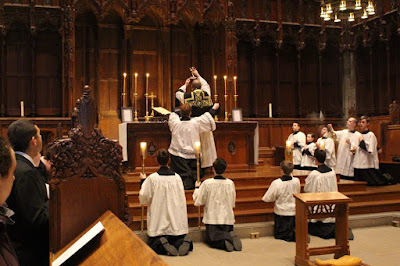 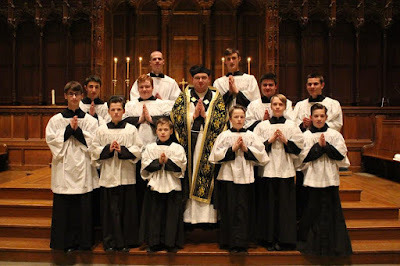 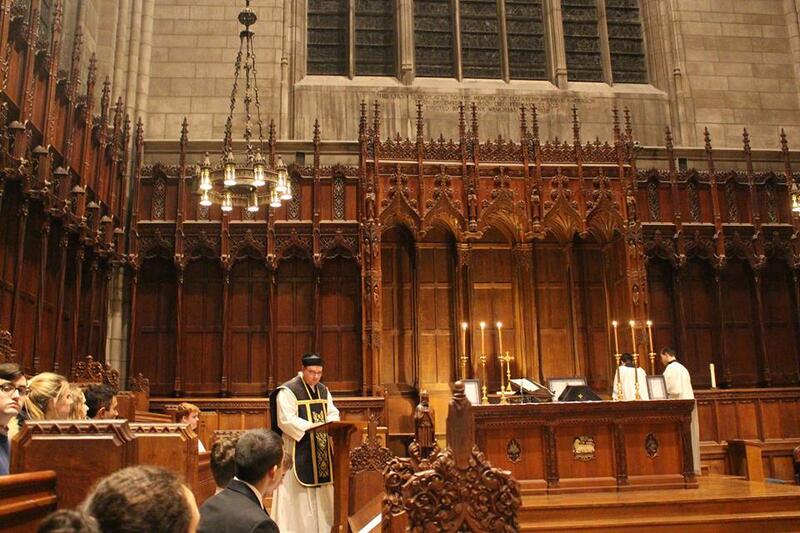 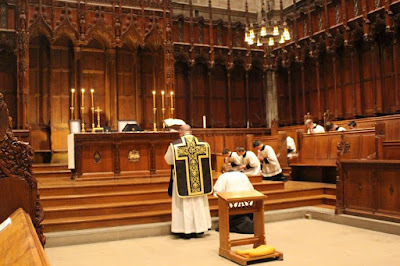 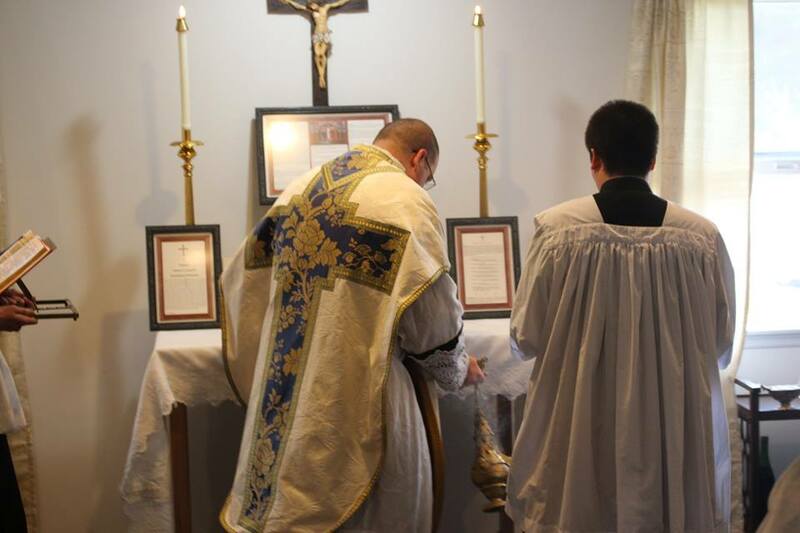 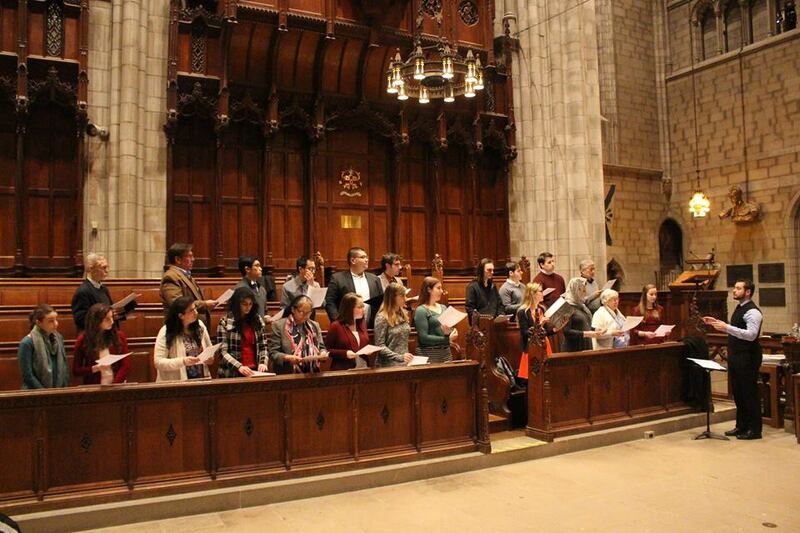 On Thursday, February 16th, Fr Carlos Hamel of the Fraternity of St Joseph the Guardian celebrated a traditional Latin Requiem Mass at the Princeton University Chapel, for the departed souls of those affiliated with the Aquinas Institute of Princeton University. 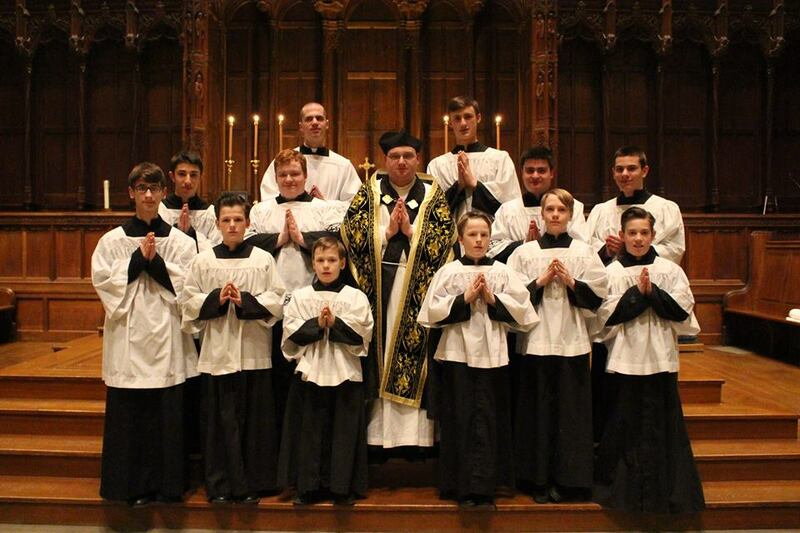 The Schola Cantorum of St John the Baptist sung the chants of the Requiem Mass under the direction of Mr. Peter Carter. 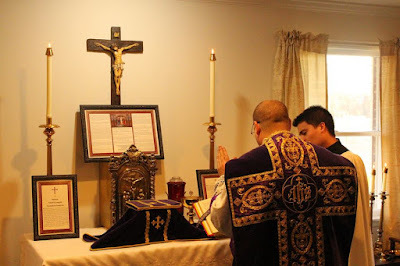 (Photographs courtesy of the Fraternidad de San José Custodio.) 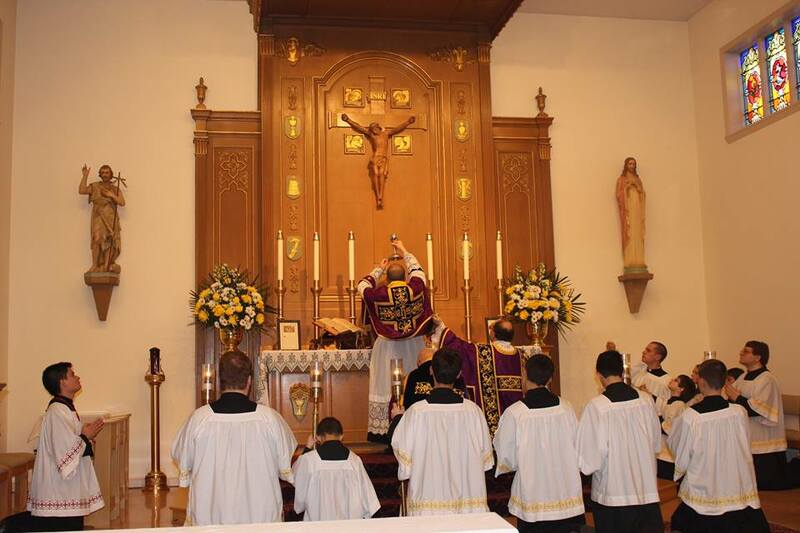 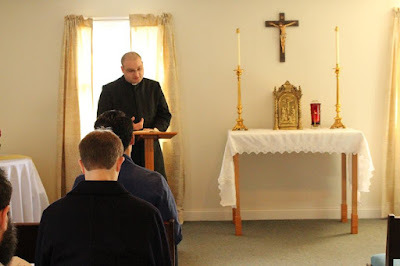 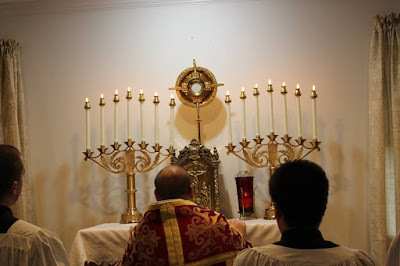 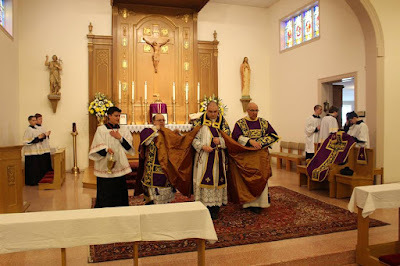 Fr Hamel was in New Jersey to preach spiritual exercises for men; some photos of the liturgical activities during the exercises are given below.